Asahel Delma Hinshaw1,3,8,9,10 [Ace Hinshaw1]. Born Sep 30 18991,4,8,9,11,12,13,14 [Sep 30 190010], WaKeeney, Trego County, Kansas1,4,8,9,11,12,13,14. Guthrie, Charles A., head-of-household, age 69, born in Missouri; father born in Ohio; mother born in Illinois; owned home ($7000 value); radio in home; not a veteran. Guthrie, Luella, wife, age 63, born in Illinois; father born in Indiana; mother born in Ohio. Hinshaw, Bessie, daughter, age 29, born in Iowa; father born in Missouri; mother born in Illinois; divorced; occupation: waitress, tea room. Hinshaw, Warren, [..unclear..] son, age 3, born in Arizona; father born in Kansas; mother born in Iowa. Hinshaw, Besssie, lodger, age 39, born in Iowa; completed 4 years of high school; on Apr 1 1935 was living in Monrovia, Los Angeles County, California; divorced. Hinshaw, Besssie, lodger, age 39, born in Iowa; completed 4 years of high school; on Apr 1 1935 was living in Monrovia, Los Angeles County, California; divorced; occupation: manager, ice cream store. Hinshaw, Betty, lodger, age 16, born in Kansas; completed 1 year of high school; on Apr 1 1935 was living in Monrovia, Los Angeles County, California; attended school. 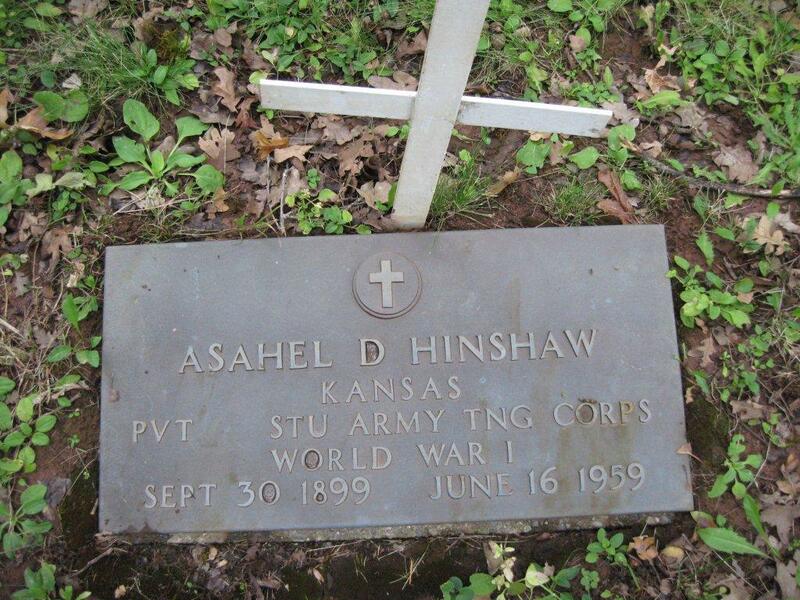 Hinshaw, Asahel D., head-of-household, age 30, born in Kansas; father born in Indiana; mother born in Kansas; first married at age 20; owned home ($2000 value); no radio in home; occupation: engineer, electrical; World War I veteran. Hinshaw, Maude L., wife, age 22, born in Arizona; father born in Arkansas; mother born in Arizona; first married at age 22; occupation: nurse, pub. school. Hinshaw, Asahel D., head-of-household, age 40, born in Kansas; completed 2 years of college; on Apr 1 1935 was living in rural Maricopa County, Arizona; rented home ($25/month rent); worked 0 weeks in 1939; $0 wages in 1939, plus other income. Hinshaw, Maude S., wife, age 32, born in Arizona; completed 4 years of high school; on Apr 1 1935 was living in rural Maricopa County, Arizona. Hinshaw, Warren, son, age 13, born in Arizona; completed 6th grade; on Apr 1 1935 was living in Monrovia, California; attended school. Hinshaw, Rogene L., daughter, age 9, born in Arizona; completed 3rd grade; on Apr 1 1935 was living in rural Maricopa County, Arizona; attended school. Hinshaw, Laurence, son, age 8, born in Arizona; completed 2nd grade; on Apr 1 1935 was living in rural Maricopa County, Arizona; attended school. Hinshaw, John H., son, age 3, born in Arizona; attended school. Asahel Delma Hinshaw, the only son of Thomas Delma Hinshaw and Mabel Rogene Avery, was born September 30, 1899, in a sod house on the 160 acre Kansas farm seven miles south of WaKeeney where the Hinshaws made their home. Every animal you would expect to raise on a farm was theirs. His father, Thomas Delma Hinshaw was elected sheriff and served for two consecutive terms. Asahel had three sisters: Ada, Ruth and Hazel. Only sister Ada was born on the farm. His father, Thomas Delma was sheriff for Trego County and his mother, Mabel, ran the farm. When a bequest Mabel received from her father enabled the sale of the farm, the family relocated to Clay Center where Thomas D., his father, was elected sheriff in 1912 for two terms and then in 1920 for two additional terms. Mabel served as assistant sheriff, cooking the meals for the prisoners and taking charge of the female prisoners. There were very few prisoners in sheriff T.D.’s jail. Asahel completed his high school education at Clay Center, and subsequently served briefly in the Kansas State Guard, Company A, 19th battalion. His father was a member of the same Company. In 1918 Asahel was honorably discharged and was off to work in the copper mine in Douglas, AZ, taking a room in the home of his aunt Ida. Later he married Bessie Estelle Guthrie and made his home in Goodland, Kansas. 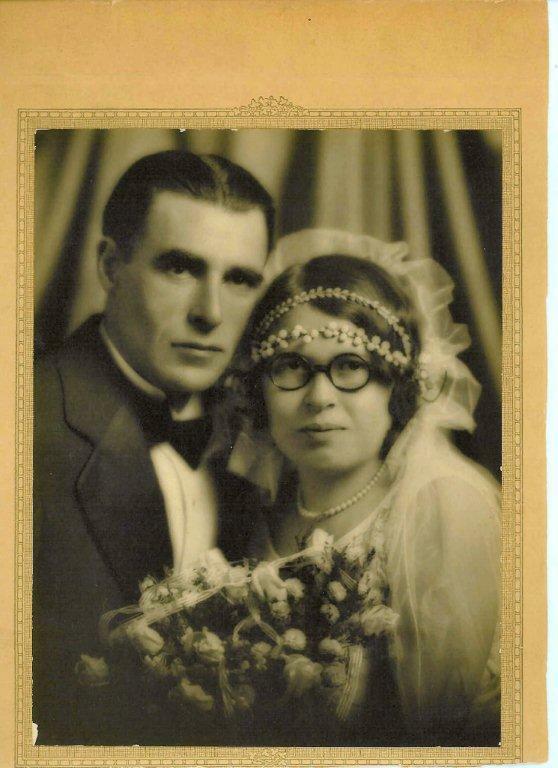 Two children were born to this union: Betty Louella and Warren Delma. When Asahel's marriage ended, he returned to AZ. In Kansas Asahel had become a journeyman electrician and this stood him in good stead in Arizona. The Roosevelt Dam harnessing the waters of the Salt River and Tonto Creek had been erected not long before. Asahel was named line gang foreman for the Salt River Power Co.which was erecting the steel towers to bring power to the Salt River Valley from the generators at Roosevelt Dam. This employment lasted fifteen or more years until he was laid off in the Great Depression. In Phoenix Asahel became acquainted with the Nathaniel Sanders family and their nine daughters. 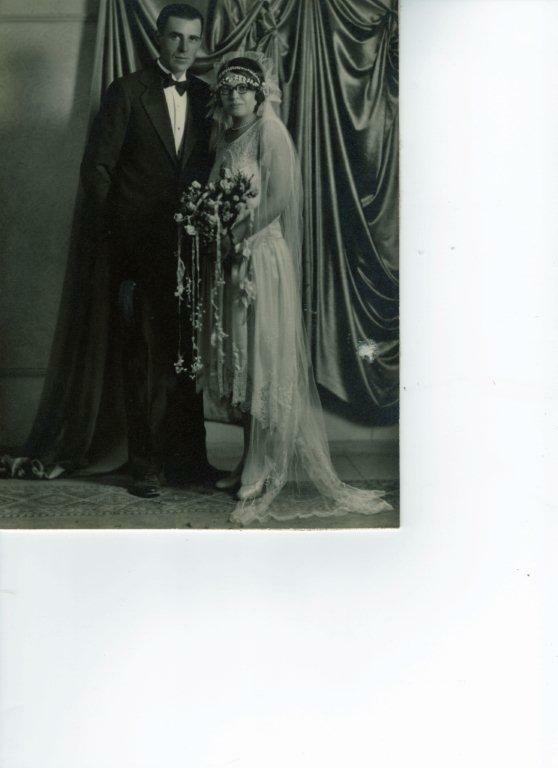 He fell in love with daughter Maude, a registered nurse, and they were married on August 8, 1929, in a double ceremony with her sister, Julia, and Keith Atchley. Asahel and Maude lived at 2237 N. Richland St. in Phoenix. A daughter, Rogene Lee was born in 1930, Lawrence A. in 1931 and John Henry in 1936. At this time Asahel was the chief electrician for the Carl Pleasant Dam which work he enjoyed until a terrible industrial accident brought it to an end and left Asahel's spine sufficiently injured that doctors doubted he would ever walk free from pain ever again. It can be seen now that a vital part of his healing process was his decision to set up a "Camp Hinshaw" on Tonto Creek. There the family created a colony of tents, Asahel orchestrated the gathering and cutting of wood and taught his sons and daughter his great love of the out of doors. Frequent hikes and a regimen of exercise resulted in a nearly full recovery from his accident although his pain and suffering was never fully gone. While the Hinshaw family had been Quakers for many generations, Asahel, Maude, and their children became members of the Central Methodist Church in Phoenix. That church provided extraordinary leadership and support to the Hinshaw family in years to come. Upon graduation from Arizona State College, with distinction, Asahel took a position teaching mathematics at the Phoenix Technical School and the family moved to 2330 N. Dayton Street. At the time Phoenix had less than 100,000 residents. Here Asahel began a successful and growing business as an electrical contractor. And here it was that a third son, Raymond Sanders, was born in 1942. Sadly, Asahel's health deteriorated and finally he required a lengthy hospitalization. Eventually there was a divorce, Maude staying at the Dayton address and Asahel moving Happy Camp, California. He loved living in the forest, sometimes cooked for the lumbermen, did electrical work, and caught many steelhead and salmon. He died in 1959. Of these last years his son, Warren Delma Hinshaw, wrote: "Dad worked many hard hours to hew out an existence in this mountain wilderness. Happy Camp is truly one of our last frontiers with its highly densely timbered mountains and numerous streams and lakes unspoiled by progress. Dad's cabin is located on a stream which runs right through the heart of town. Across this stream and up a gentle slope beneath some tall old trees, Dad lies now". In Happy Camp Asahel was a member of a little log church where his funeral took place attended by many "mountain people" who knew him as "ACE". They said: "Here is a man who always had time to lend someone a hand when they needed it". At the time of his death, [he] was Master of the Local Grange and Chaplain of the American Legion. Of his death, Warren writes: "He was raking leaves in the front of his place. According to neighbor lady, he doubled up with a severe pain in his stomach and she sent for the local nurse as the doctor was out of town at the time. The nurse gave him a shot of morphine and escorted him to the local airport where they flew him to the hospital in Eureka. This was Monday, June 15. He died Tuesday evening, June 16. I am still not exactly sure of the medical explanation but it had something to do with his heart". All in all, Asahel Delma Hinshaw was a remarkable person who endowed his family with a robust love of life and the great out of doors. As we could all attest, he was a great teller of stories. His own story is one of the best. 1940 census, Tempe, Maricopa County, Arizona; roll T627-106, ED 7-70, page 2A, line #13, household #31. Research of John Sanders, Sr.
1900 census, Wakeeney Township, Trego County, Kansas; roll T623-502, ED 187, page 6B, line #85, dwelling #156, family #156. 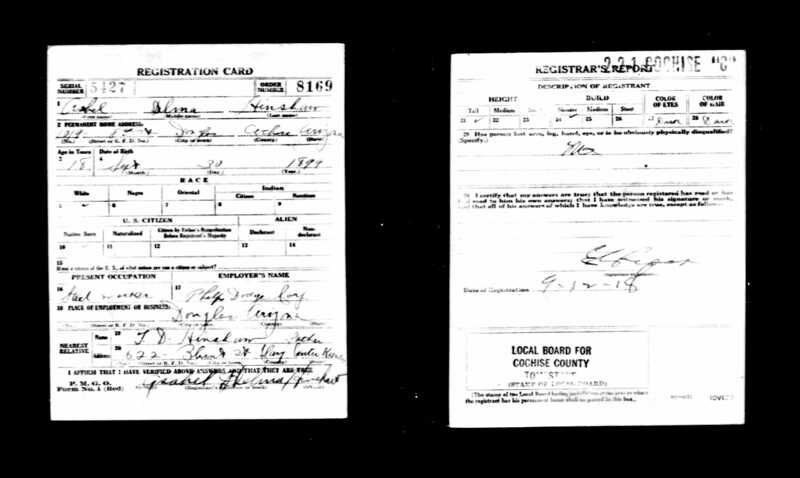 1910 census, Clay Center, Clay County, Kansas; roll T624-434, ED 4, page 95B, line #75, dwelling #443, family #456. 1930 census, Phoenix, Maricopa County, Arizona; roll T626-58, ED 33, page 8B, line #73, dwelling #213, family #215. Ancestry Family Tree data "LARRY'S TREE PROGRESSING" posted by "LawrenceHinshaw" (Lawrence Hinshaw). Kansas State Library Archives: http://skyways.lib.ks.us/genweb/archives/military/ksguard/nineteenth.shtml. 1910 census, North Bluff Precinct, Lancaster County, Nebraska; roll T624-850, ED 95, page 4A, line #23, dwelling #69, family #69. 1920 census, Louisville Township, Boulder County, Colorado; roll T625-156, ED 43, page 6B, line #90, dwelling #22, family #22. 1930 census, Monrovia, Los Angeles County, California; roll T626-167, ED 1158, page 7A, line #3, dwelling #176, family #176. 1940 census, Pasadena, Los Angeles County, California; roll T627-240, ED 19-434, page 13A. 1930 census, Monrovia, Los Angeles County, California; roll T626-167, ED 1158, page 8B, line #99, dwelling #176, family #176. 1930 census, Phoenix, Maricopa County, Arizona; roll T626-58, ED 33, page 8B, line #64, dwelling #211, family #213. 1930 census, Phoenix, Maricopa County, Arizona; roll T626-58, ED 29, page 11A, line #1, dwelling #213, family #215. The Arizona Republic archives: http://www.azcentral.com.